Mala is a string of 108 beads that serves as a beautiful, wearable, and symbolic reminder of your desired energy or intention in this world. Often used as a tool for meditation, malas hold certain energy linked through a mantra- a statement of intention, or affirmation. Each time you pass a bead through your fingers you repeat your mantra. Passing through all 108 beads is a full cycle or meditation. It is believed that 108 channels of energy run to and from the heart so if you repeat your mantra 108 times your heart will truly and deeply feel the energy of your mantra. All of our malas are mindfully & skillfully crafted from gemstones that support the energy of the mantra, intention, or affirmation. 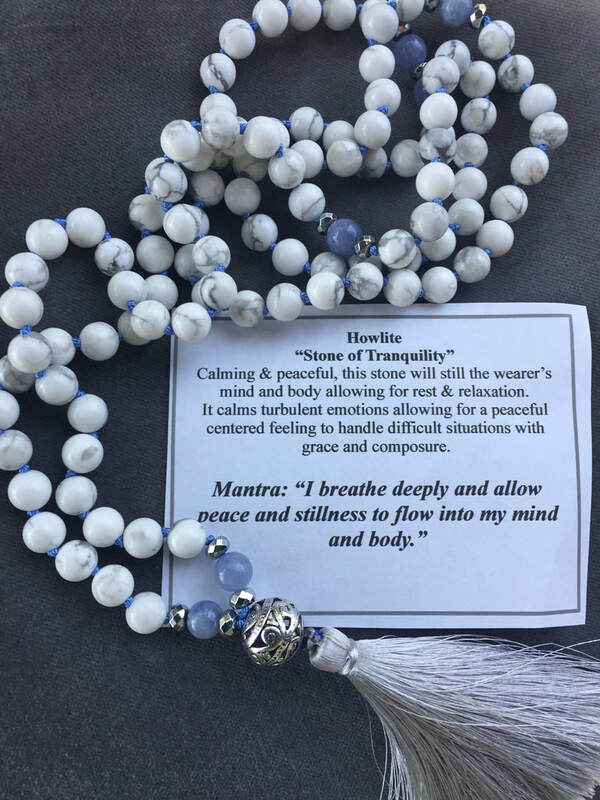 Schedule a Mala necklace consultation and have the perfect Mala designed and created for you or someone you love. Essential Oils and Gemstones have many mind-body benefits. Essential Oils, used for aromatherapy, are one of the quickest and most efficient ways to change a mood state. 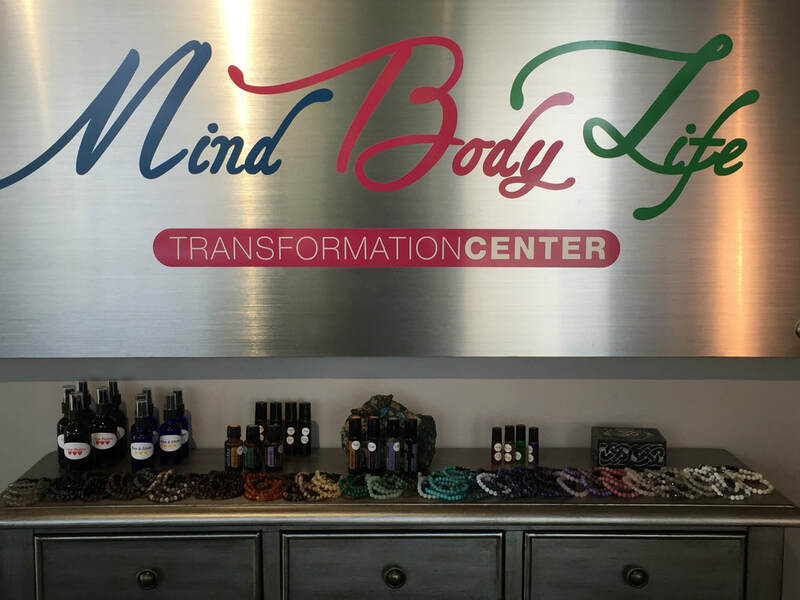 Schedule an Aromatherapy Bracelet Consultation and learn what essential oils and gemstones are best for you and your goals, and create a beautiful essential oil diffuser bracelet to wear and diffuse your favorite essential oil. In this appointment we will discuss gemstone & essential oil powers and qualities and choose the perfect combination. Your bracelet will be made of high quality natural gemstones and lava rock to absorb and diffuse the essential oil. 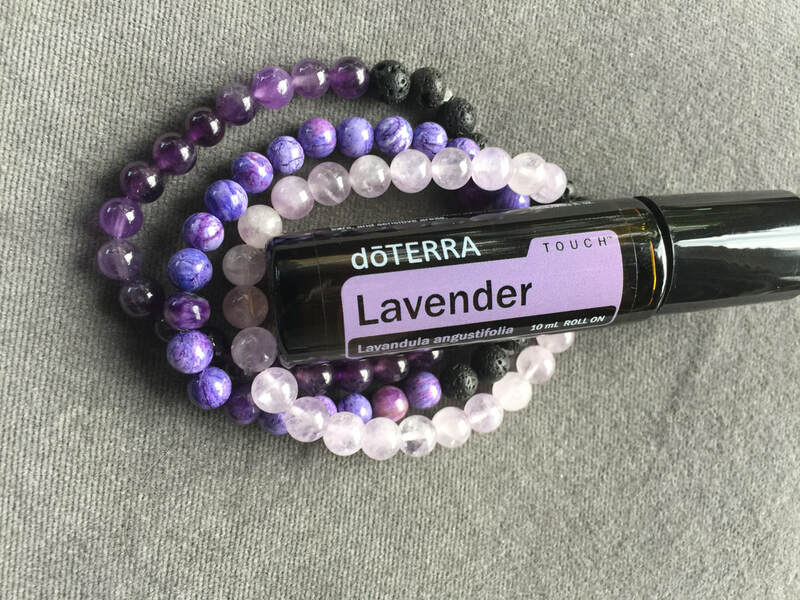 1ml of an oil (or blend) of your choice will be given to you to get started with your bracelet.